I initially convinced my partner to let me start installing home automation as a way to make sure our basement didn’t have a flood. We have a finished basement and I wanted to be able to prevent a minor flood from becoming major. At the same time, I purchased two SmartPower outlets to automate our archaic light timers that we use. Setup was easy and things typically just work. We then left town one day to visit family and I could not remember if I had closed the garage door. After several frantic texts and calls to a neighbour, they agreed to check on it once they arrived back home. But since they would be out for several more hours, had anyone walked by and saw my tools, power washer, or our kids’ bikes, they could have easily been gone by the time our neighbours. I started looking for a better solution to make sure I didn’t accidentally leave the garage door open. I then received a SmartSense Multi sensor and an Evolve relay switch for my birthday and now have the ability not only know when the garage door is opened, but to close the garage door remotely. Hooray!! No more stressful family outings (due to the garage door that is…). We also integrate Smartthings with our two Ubi speakers (one on each floor). We use Ubi as an intercom, to remind the kids of various things, give a weather report in the morning, or have it tell us things based on SmartThings. We have a dog who, when the opportunity presents itself, will take to galavanting around the neighbourhood with little concern for traffic. I had the awful experience of chasing him throughout the neighbourhood in my PJs and bare feet when someone left the gate open. 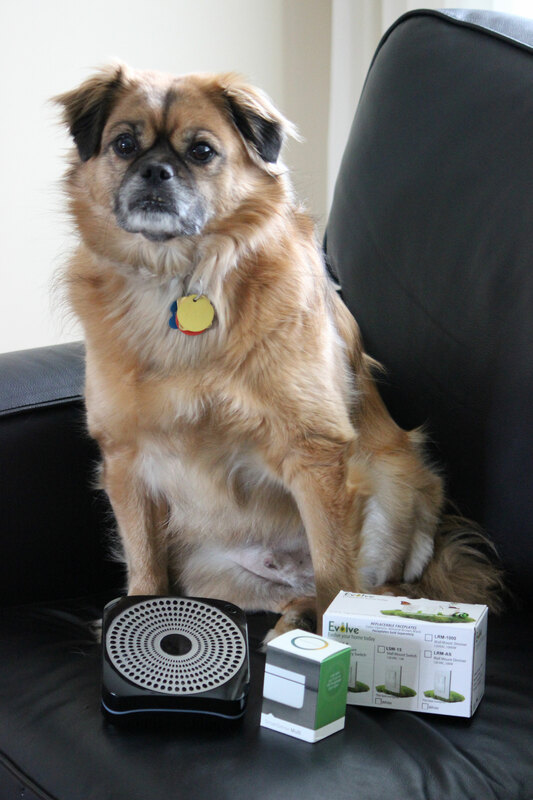 I decided SmartThings could help me with this and keep our little (okay, medium-sized) pooch safe. Our backyard gate now has a sensor on it that when opened, plays a notification on our Ubis so everyone knows the gate is open. If the gate is left open for more than five minutes, UBI also lets us know and sends us a text. Initially for the dog, this also gives us peace of mind as we have a pool in the back yard. Next up, I’m adding a sensor to the dryer so I can have UBI tell us when the dryer is done. It is in the basement and we often don’t hear it!